Why does TMWA store water underground? During low water years and in abundant snow years, Truckee Meadows Water Authority (TMWA) carefully manages our water resources. Our water supply depends on annual snowpack and reservoir levels. Since we can’t predict how much snow we will get in any given winter, this is stored water that the community can use if there is a drought. This benefits everyone in the Truckee Meadows. One of those resources is our capacity to store water underground in the aquifer; this storage is in addition to upstream reservoir storage. Both surface and groundwater resources can be tapped in the event of a drought. By injecting treated surface water into some of its wells, TMWA recharges the underground aquifer annually. 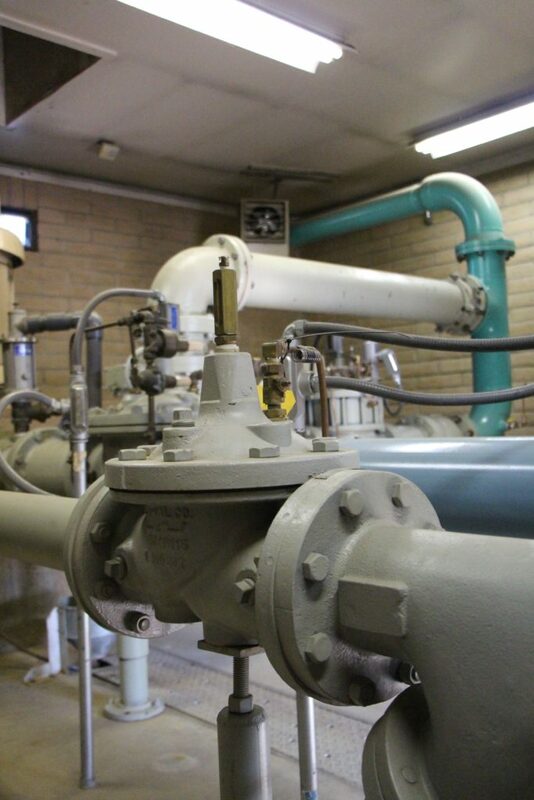 The recharge program, known as Aquifer Storage and Recovery (ASR), pipes treated surface water into existing wells. This treated, surface water is injected into the aquifer through several wells throughout TMWA’s service area. The process occurs during fall and winter when water use drops to one-fourth of the summer average usage and surface water is available. The stored water can then be accessed during drought periods, if necessary. The earlier in the fall that TMWA can start injecting treated water into our wells throughout Reno and Sparks, the more water can be stored and available for use in below normal precipitation years. We use the replenished aquifers like underground reservoirs from which water can be withdrawn in the event of reduced availability of river supplies. How much water has TMWA recharged? Since recharge began in 1993, ASR has successfully injected tens of thousands of acre-feet of water into local aquifer. An acre foot is the volume of water necessary to cover one acre of surface area to a depth of one foot, or 325,851 gallons. How does recharging wells affect the water quality? The treated water injected into the aquifer remains at high quality, meeting all drinking water standards and even improving the aquifer’s water quality in the process. As a community-owned water utility, we are constantly working to manage water resources in ways that benefit our residential and business customers. We will continue to look for programs such as recharge that make sense for the community’s future. How much water was recharged in 2015? During the 2015 recharge season, about 10 million gallons per day were injected into 21 different well sites across the Truckee Meadows. This allowed us to store 4,000 acre feet of water (more than 1.3 billion gallons).